Our site map is provided here in an effort to make it easier for readers to locate information of interest. This is a question that is often asked by some of us who spend a lot of time exploring various websites that do not provide a site map. Have you ever found yourself wasting hours surfing sites for a key piece of information that you need? You search and you search, but to no avail? Wouldn't it have been nice to be able to preview a site map to more quickly determine the best route to take or to decide you need to move on to some other source? Our site map is simple and to the point, making it easy to read and follow. We use a basic site structure so you can quickly find what you are looking for. "I teach a high school leadership class and came to your site to obtain lesson ideas. Your site is excellent, and has become quite useful to my students and me. Thank you so much for your generosity and your dedication to sharing these tremendous tools." Thanks to visitors like you, our site continues to grow year over year, and we fully expect that growth to continue. It's important to us that we provide our readers with a useful site map tool that allows you to easily and effectively find, or go back to a page of interest. The site map makes it less of an issue if you do not want to take the time to bookmark a page or make a hand written note with the specific web address. Our site map ensures that every page currently available on the site will always be listed for your convenience. Utilize our site map and/or the search box in the top right corner of our site to find what you need at Leadership-Tools.com. HOME: Leadership Tools for Today's Aspiring Leaders. ABOUT THE AUTHOR: Meet the founder of Leadership-Tools.com. FREE TO SUBSCRIBE NEWSLETTER: Leadership-Tools Monthly News – Subscribe Today. FREE GIFT: The Original American Success Book - Pushing To The Front, full ebook version, written By Orison Swett Marden. FREE TOOLS: Find high-value leadership tools and resources at no cost. LEADERSHIP ECARDS: Free Leadership E-Cards – send a special message today. CHAPTER 2 What Is It That You Want? CHAPTER 3 What’s Time Got To Do With It? CHAPTER 5 What Is In The Way? SECTION 5.3 Never Enough Time! CHAPTER 8 Network It Out! CHAPTER 9 What Is In It For Me? SECTION 9.1 Goals For Public Consumption? SECTION 12.1 Success Is Right Now! SECTION 14.1 It Is Up To Me! LEADERSHIP BOOKS: The Leadership Bookstore is a gateway to higher levels of business and leadership knowledge. Book Reviews - Top Picks! Will Your Next Mistake Be Fatal? LEADERSHIP PROGRAMS: Purchase Recommended Tools For Self-Help and Personal Improvement. LEADERSHIP GIFT STORE: Purchase Recommended Gifts For Leaders, Corporate Executive and Business Owners. Leadership Items On eBay. Auction items for recognition awards and/or gifts. SUCCESS LIBRARY: Read from our free library of success and self-help classics. Providing timeless wisdowm and universal life lessons to assist you in becoming more successful. Chapter XII - No Surrender! ORIGINAL BUSINESS PLANNING ARTICLES: On business related topics. Work From Home Doing What You Love! ORIGINAL LEADERSHIP ARTICLES: On leadership related topics. Leadership Skill Training At Home: Teach, Coach, Expect! ORIGINAL SALES MANAGEMENT ARTICLES: On sales performance and management related topics. ORIGINAL CUSTOMER SERVICE ARTICLES: on customer service and retention related topics. Customer Service Slogan – Creating A Company Battle Cry! A Customer Service Idea – Ownership! Is Employee Retention Linked To Customer Retention? ORIGINAL TEAM BUILDING ARTICLES: on team building related topics. CONTACT US: Anytime you have a question or need assistance, please feel free to ask. SUPPORT OUR MISSION: How you can support the mission of Leadership-Tools.com to be the premier low and no-cost resource for high-quality leadership tools. SITE SEARCH: Find exactly what you are looking for using our advanced site search tool - provided for your surfing convenience. TESTIMONIALS: Read what our customers have to say about the quality of our site, tools, resources and information. Tell us what you think. SITE MAP: No worries - you are already here! Thank you for visiting the Leadership-Tools site map. This site map is here for your convenience. If you identify any link within our site map that is not working properly, please let us know. 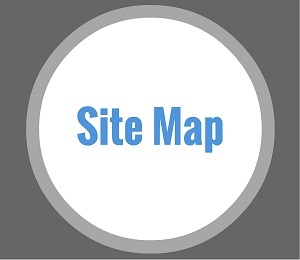 With the help of our valued readers, we will work to ensure that the site map is always up-to-date. In the event you do see an error or a broken link on the site map, notify us by using our Contact Us form.